We are glad to welcome you to the official website of company Original Mechanics and Automation. A full catalog with photos, descriptions, technical characteristics and samples of projects are available on the website of the company - oma.spb.ru - Russian version. The site contains a catalog of our serial and original products with actual prices and stock availability. You can quickly pick up equipment for any checkpoint and place an order from our online store. Make an order on the OMA website or email the sales department at: order@oma.spb.ru. 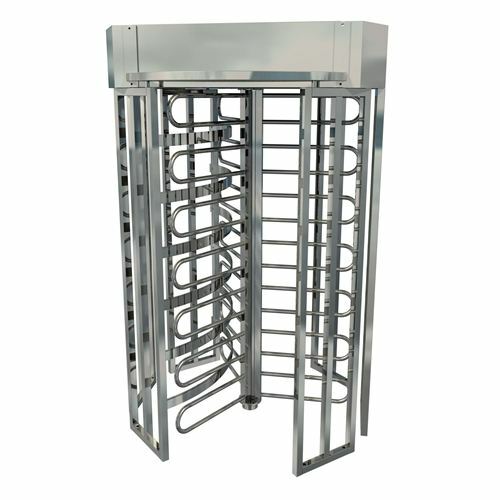 Is an elegant turnstile in stainless steel with three barrier bars rotating on one inclined shaft. The compact dimensions of the turnstile allow for installation in a limited space, even in the doorway. There is also a version for installation in the open air at low temperatures. This is a more affordable version of the turnstile with a body of painted steel and stainless slats. The elongated casing enables you to use it without using additional fences for the passage zone. 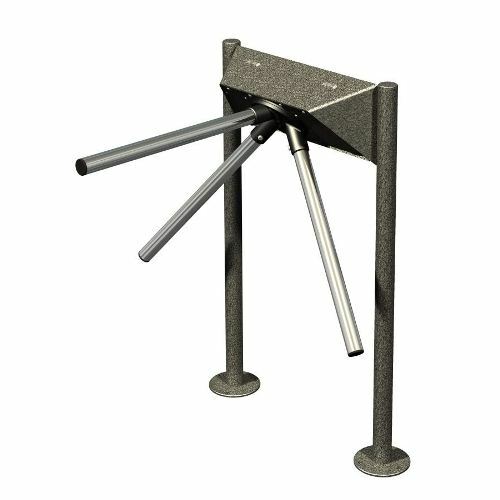 This turnstile housing can be installed on fence posts or on walls. 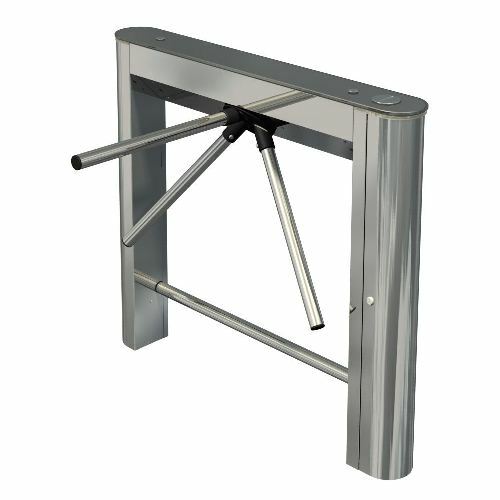 This is a more rugged version of the turnstile with a stainless steel casing and stainless barrier elements. The top cover is made of tempered tinted glass. A long massive casing allows you to dispense with the use of additional barriers for the passage zone. This turnstile can be equipped with a built-in receiver of one-time access cards. This particular model has three blades of tempered glass rotating on a single vertical shaft with a stainless steel case. Rotors provide a reliable separation of the flow of people "one by one" with increased access control to protected areas. MAT-OMA-D duplex is a low gateway with two pairs of swinging flaps. 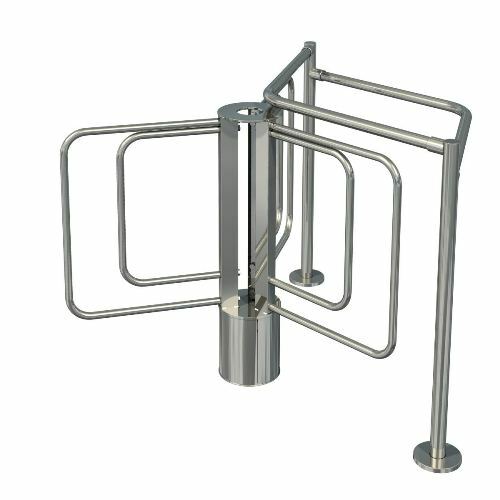 This turnstile can be used in normally open mode, which increases the capacity. Eight sensors optical line of control ensures reliable separation of the flow of people "one by one" with increased access control to protected area. This turnstile can be equipped with a built-in receiver of one-time access cards. 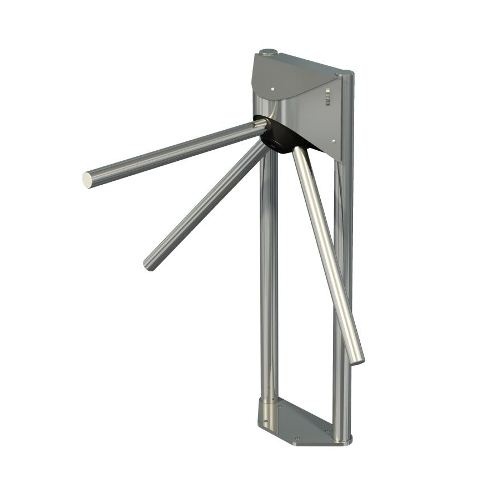 This is a durable full-height rotor turnstile made of stainless steel. The interlocking elements are three or four blades of stainless steel or tempered glass rotating on a single vertical shaft. It is designed for installation in enterprises with strict access control. There is an option for installation in the open air at low temperatures. Russian manufacturing company "Original Mechanics and Automation" (OMA), founded in 1999, offers you strong and reliable turnstiles and wickets. In our turnstiles there is nothing unnecessary - only components of excellent quality necessary for trouble-free operation. All our turnstiles are equipped with an electric motor drive, which ensures smooth rotation and precise positioning of the barrier elements. Mechanisms and housing are designed for use intensive operation mode, including with impact loads. Our turnstiles can be used in any access control system or autonomously. 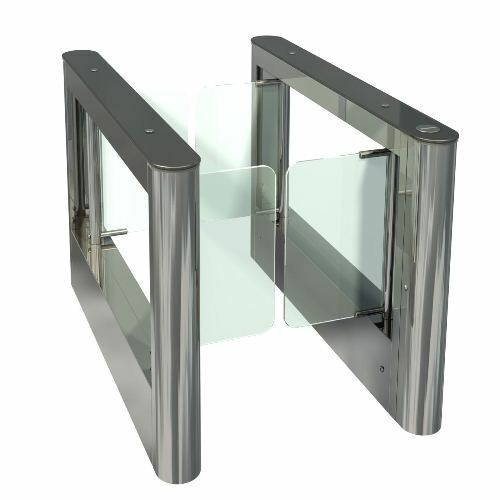 Our company has extensive experience in developing and manufacturing controlled physical barriers for access control systems or turnstiles. OMA products are successfully used at the checkpoints of many enterprises of various industries. However, there are times when an original device or an original appearance is required. If you have any ideas for a particular turnstile design, please contact the company "Original Mechanics and Automation" at: custom@oma.spb.ru, and we can provide the necessary services to help you implement them. © Original Mechanics and Automation. All rights reserved.